FREDERICTON -- A Fredericton man accused of murdering two police officers and two civilians in an August shooting spree is getting his wish for a new lawyer. Matthew Raymond says he feels he has not been defended by his counsel, and tried numerous times to fire him. Provincial court Judge Julian Dickson said Wednesday that he agrees Raymond should have a new lawyer, and one will be appointed when the case returns to court next Wednesday. During a previous court appearance, Raymond told the court that his lawyer, Nathan Gorham, was withholding evidence that would allow him to be "exonerated" immediately because of temporary insanity. "Mr. Raymond's obviously mistaken belief that Mr. Gorham could present evidence to exonerate him at this stage of proceeding suggests that possibly he is unable to understand the nature of the proceedings. Mr. Raymond's statements also suggest to me that he is not able to communicate meaningfully with counsel or to understand the role of counsel," Dickson said. "He believes that Mr. Gorham could have exonerated him some two-and-a-half months after he was arrested and charged with killing four people including two civilians and two police officers. With all due respect, this does reflect a distorted understanding of counsel's abilities and does call into question Mr. Raymond's capacity to understand the role of counsel and communicate with counsel." The Crown has already said it will request a 60-day psychiatric exam, but first the issue of defence lawyer must be settled. 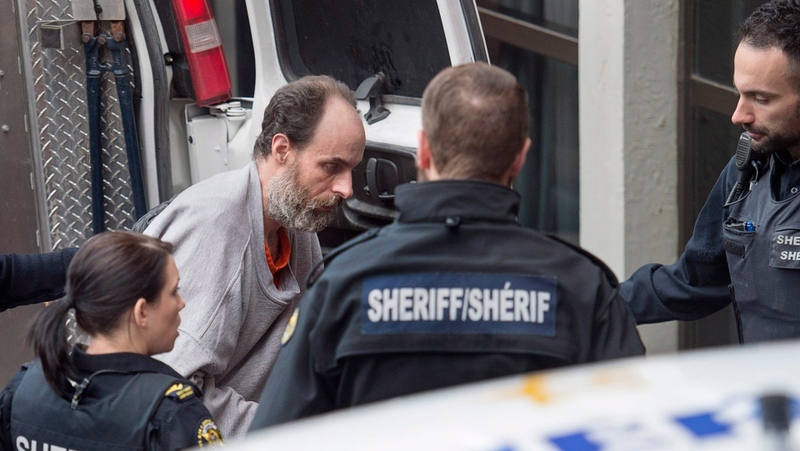 Raymond is charged with first-degree murder in the deaths of Fredericton police constables Sara Burns and Robb Costello, and civilians Donnie Robichaud and Bobbie Lee Wright. The four were gunned down Aug. 10 outside an apartment complex in the city. Outside court Wednesday, Gorham said he had little choice but to ask the judge to replace him. "Two weeks ago, Mr. Raymond discharged me and the reasons for discharging me make me believe that he was mentally unfit by reason of a mental illness, and so I felt that the only option that I could do ethically and in my duties to the court was to bring an application asking the judge to appoint counsel who could not be discharged," he said. "Today the judge accepted there were reasonable grounds to make that appointment." An official with legal aid said he would present the judge with the name of a lawyer for his consideration within the next few days. The case returns to court on Nov. 14, to appoint the new lawyer.